The negotiations for an agreement that will curb (in some sense) Iran's nuclear program and free Iran (in some sense) from international sanctions that have squeezed its economy are, by general consensus, in their final 24 hours. 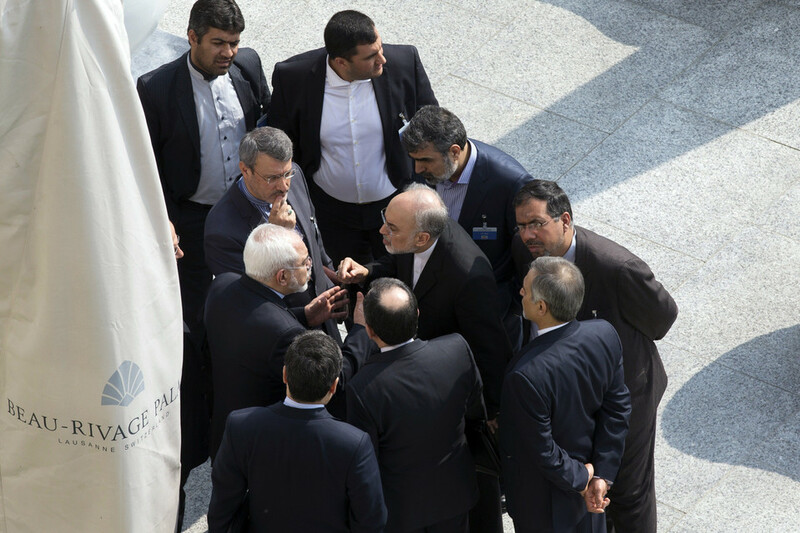 The pressure-cooker atmosphere stems from a March 31 "soft" deadline that Iran and the P5+1 group imposed on themselves in November 2014 to achieve (in some sense) a general agreement. The more detailed terms (in some sense) are to be signed off by June 2015. No one would purchase an apartment with this degree of uncertainty and flexibility about what was agreed. It's bizarre, and that's before we take the cataclysmic scale of the dangers into account. bargained up their centrifuge numbers for months by saying that they'd ship out whatever material they enriched, the assumption being that who cares how much uranium they enrich to 3.5% as long as they don't have it physically available to enrich further. Now that they've ratcheted up the number of centrifuges to over 6,000, they're saying they won't ship out the material... it looks like the administration got outplayed by Persian negotiators… again. Since Hassan Rouhani, a religious cleric [see "20-Mar-15: This is how it looks when an Islamist state turns moderate"] became president in 2013, more than 1,400 Iranians have been put to death by his regime, many of them women and juveniles. Hanging in Iran is almost invariably done in public. A construction crane is the customary instrument of death. Are these incidental matters? We don't believe so, and are continually astounded at how seemingly-intelligent people base their view of the future on a conviction that the blood-soaked Iranian regime's goodwill and decency will get us there. 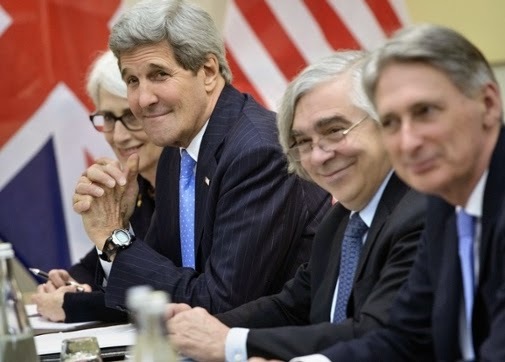 Everything we have seen about the Iran nuclear talks screams "catastrophically bad deal". Most people tune conclusions like that out. So we are reprinting here three exceptionally articulate and clear opinion pieces, all from the past 24 hours, as our contribution to keeping readers awake at night, at least tonight. What will Saudi Arabia do in response to a deal? If the Saudis—who are already battling the Iranians on several fronts—actually head down the path toward nuclearization, then these negotiations will not have served the underlying purpose President Obama ascribed to them. The president has warned, in interviews with me and others, that a nuclear Iran would trigger a nuclear arms race across the Middle East, the world’s most volatile region. One goal of these talks is to assure the rest of the Middle East that Iran cannot achieve nuclear status. If Saudi Arabia (and Egypt and Turkey and the U.A.E.) does not believe that a deal will achieve this, then it will move on its own to counter the Persian nuclear threat. If the underground enrichment facility at Fordow—which had been hidden from Western view for several years, and which the U.S. and Europe have repeatedly said needs to be closed—is allowed to run centrifuges, even to spin germanium and other elements that cannot be used in the manufacture of nuclear weapons, then doubt could legitimately be sown about the strength of this deal. Already-spinning centrifuges in a maintained, guarded, and fortified bunker can be retrofitted to handle uranium, should the Iranians choose to break their agreement. It would be better to see Fordow filled with cement, or otherwise crippled. My largest question concerns how long it would take Iran to make a deliverable weapon once it decides to go nuclear. The Iranians have never answered most of the questions put to them by the International Atomic Energy Agency about the possible military dimensions—the so-called PMDs—of their nuclear program. These questions must be answered before sanctions are even partially lifted. Otherwise, the West will never get answers. The proposed speed of sanctions relief is, of course, something to watch carefully. The Iranians want immediate sanctions relief, but the West should only agree to a stately pace of sanctions-removal, predicated on 100-percent Iranian compliance on intrusive inspections, among other issues. If a deal on Iran’s nuclear programme is clinched in the coming days, it will be hailed as a diplomatic breakthrough. It will be nothing of the kind. Judging by leaks from the negotiating table, Tehran has not done enough to allay suspicions that it intends eventually to produce nuclear weapons. Worse, if the framework agreement is signed on the basis of current drafts it will contribute to a reckless recasting of the US position in the Middle East. Iran would be upgraded to the status of regional ally, while Israel, whose fears have been largely ignored during a year of diplomacy, would be awarded the status of regional irritant. These are unintended consequences of the broader failure of the Obama administration’s policies in the Middle East. Plainly President Obama is not actively seeking a nuclear Iran. Rather he wants to reduce the chances of the United States, or Israel, having to launch a pre-emptive attack against Tehran. 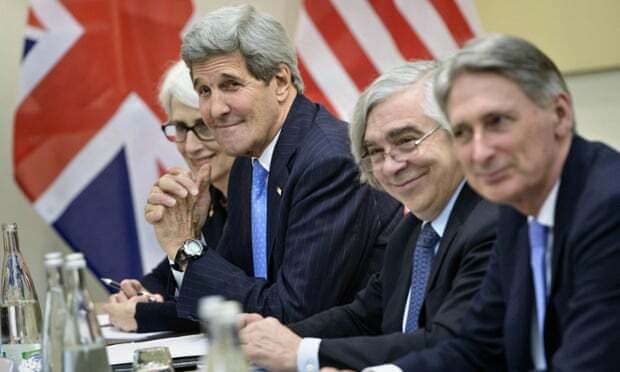 The diplomatic aim of the US and its five negotiating partners, including Britain, has thus been to cap the number of centrifuges capable of enriching uranium and limit to 12 months the time Iran would need to make a bomb. The determination to notch up at least one success in Middle East peacemaking has, however, led Mr Obama to make ill-considered concessions in the belief that Iran is acting in good faith. The original negotiating aim of the US was to disable Iran’s uranium enrichment by restricting its centrifuges to between 500 and 1,500. 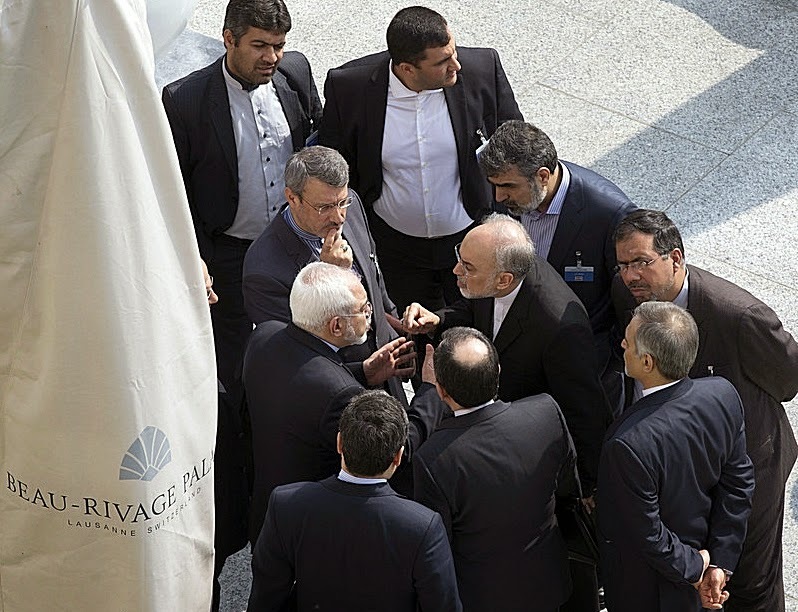 The draft deal emerging out of talks in Switzerland suggests that Iran will instead cut its centrifuges from 10,000 to 6,000 at the Natanz site and operate 500 more in the fortified bunker in Fordow. The Fordow machines are supposed to be dedicated to medical and scientific purposes. In return for this, and for accepting strict verification procedures, Iran can expect the lifting of sanctions. First, the Fordow plant can be quickly switched back to enriching uranium. Second, Iran has still not come clean to the International Atomic Energy Agency about its past attempts to develop nuclear weapons. This has made it difficult to determine whether secret programmes are continuing. Third, any arrangement hinges on transparency: Iranian readiness to accept snap inspections without let or hindrance. Finally, the supposedly comprehensive deal is set to run only for ten to twelve years. It is therefore possible that Iran has made a conscious decision to prepare for nuclear “breakout” but not to go fully nuclear until 2025. Sanctions will be lifted.Tehran will prosper and spin an ever wider web of regional alliances that challenge Saudi Arabia and Israel. Its support for Hezbollah and Hamas, and its backing for the Assad regime and for the Shia militias in Iraq and the rebels in Yemen are only a foretaste of what is to come. Its clout will be increased by the knowledge of its nervous neighbours that it is on the cusp of becoming a nuclear power, and that the US is not willing to slow Iran’s ascent. The agreement taking shape in Lausanne is based on the most generous possible reading of Iranian intentions, namely that the regime will make genuine concessions because it is desperate to be readmitted to the club of rational, benign states who crave nothing but peace in the Middle East. That is naive. Instead of containing Iran’s nuclear ambitions, this deal may simply give Tehran carte blanche to plan a future with its own bomb. Peace for our time: Mr. President, are you absolutely sure you’ve got this right? David Horovitz is the founding editor of The Times of Israel. He previously edited The Jerusalem Post (2004-2011) and The Jerusalem Report (1998-2004). He is the author of "Still Life with Bombers" (2004) and "A Little Too Close to God" (2000), and co-author of "Shalom Friend: The Life and Legacy of Yitzhak Rabin (1996). Doesn't it trouble you, just a touch, Mr. President, that you might have this all wrong? Isn't there a nagging little voice, somewhere right at the back of your mind, warning you that, maybe, just maybe, you ought to be listening seriously to Ayatollah Ali Khamenei when he calls out “Death to America,” rather than insistently tuning him out? Do you not have the slightest fear that, when history comes to judge you, it will bracket you alongside Neville Chamberlain? “The settlement of the Czechoslovakian problem, which has now been achieved is, in my view, only the prelude to a larger settlement in which all Europe may find peace,” the British prime minister declared on September 30, 1938 — precisely 76 and a half years ago. Does that inane rhetoric, that tragic rhetoric, not chill you as you read it all these decades later, knowing what happened next, and as your dutiful secretary of state seeks desperately to finalize the agreement you have sought with Iran — an agreement with a regime that makes no secret of its desire to see the elimination of Israel, an agreement with a regime that is expanding its hold on country after country in our region, an agreement that falls far, far short of dismantling Iran’s nuclear program? Do you not hear a grim historical echo, and ask yourself whether you are not risking the abandonment of another small, embattled democracy, and the emboldening of another ruthless would-be superpower, motivated by another hideous ideology? 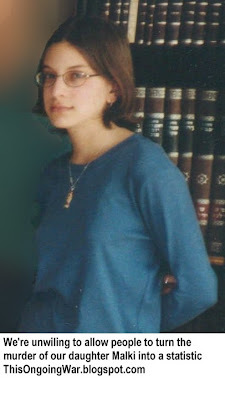 Do you not worry, not even for a moment before you close your eyes at night, that your irritation with that impossibly arrogant prime minister of Israel has skewed your judgment? Can you easily shrug off his warnings that the Iranians are tricking you? Can you dismiss his charge that you could have done better, held firmer, set the bar higher? “One of the failures, I think, of our approach in the past has been to use a lot of strong rhetoric but not follow through with the kinds of both carrots and sticks that might change the calculus of the Iranian regime,” you told this writer when we spoke in Jerusalem in 2008, before you became president. Have you not offered too many carrots, and failed to brandish a terrifying stick? Can you ignore Benjamin Netanyahu’s concerns that the Iranians will inevitably violate this agreement, and that even if those violations are detected, you, Mr. President, are now the leader of an international community that lacks the will to prevent a subsequent Iranian breakout to the bomb? Do you not ask yourself whether you might have acted differently in 2009, when the Iranian public mustered the beginnings of an attempt to oust the ayatollahs? You failed to offer concrete assistance, and their nascent uprising was brutally suppressed. Are you not even mildly disturbed by the notion that this accord, this deal you so determinedly seek, will cement in power this ideologically and territorially rapacious regime, this regime that so bitterly represses its own people? Mr. President, I think you are troubled, and worried, and disturbed. I think, deep down, you do hear that nagging voice. I think the dispassionate, ultra-confident manner you affect masks the doubts. I fear you have surrounded yourself with people who dare not question you with sufficient intellectual vigor. I fear that you are willfully blinding yourself to the tragedy you are about to inflict upon us all. I hope I’m wrong. I’m not certain. But we are plainly at a historical crossroads, and I worry — how could I not? 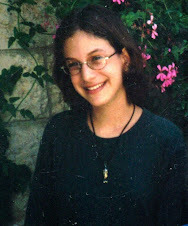 — that a grave mistake is in the offing, with profound historical consequences, for Israel, the region, the free world. And it is the certainty with which you are pursuing what seems an unfathomable course of appeasement — of an enemy that reminds us all every day, in word and deed, that it is the enemy of the free world — it is that certainty of yours that worries me most of all.